Bayern dominated possession throughout the match, and eventually found a route to goal. Huub Stevens made just one change from the side that defeated Olympiakos in midweek, bringing in Julian Draxler in place of Tranquilo Barnetta. Jupp Heynckes’ Bayern side had played a day later than Schalke (beating Valencia 2-1) so he freshened up the side with three changes – Mario Mandzukic was back in for Claudio Pizarro, while Thomas Muller and Luis Gustavo replaced Franck Ribery and Javi Martinez. Bayern always seemed on top, but the game was lacking in excitement and tempo, so there were few goalscoring chances until the away side took command early in the second half. The key feature at the start of the game was a small tactical shift from Stevens. In the last couple of Bundesliga games he’s played a 4-2-3-1, and did the same for the Champions League match in midweek. Here, however, Schalke were much more like a 4-1-4-1 system, albeit with the same central midfielders. This meant that rather than Roman Neustadter and Jermaine Jones acting as a duo, with Lewis Holtby the designated playmaker, Neustadter was the sole holding player with Holtby tucked into midfield alongside Jones. This was a stifling move – it meant Bayern found it difficult to work the ball forward, but it gave Schalke fewer attacking possibilities. The midfield zone was well-matched – Neustadter on Toni Kroos, and Jones and Holtby picking up Gustavo and Bastian Schweinsteiger. In the early stages Bayern were too static in the centre of midfield, and Schalke coped easily. The problem for Schalke was that Klaas-Jan Huntelaar received very little support from midfield. Holtby was probably twenty yards deeper than in the 4-2-3-1, and there was no reverse movement from the two wide players – Draxler was pushed back by Philipp Lahm’s advanced, while Jefferson Farfan got forward well but rarely combined with the Dutchman. There were some promising moments when Farfan moved inside, allowing Benedikt Howedes forward on the overlap, taking advantage of Arjen Robben’s lack of defensive work – but outright chances were rare. With the midfield zone static, it was interesting that three of the centre-backs brought the ball out of defence at one point, seeking to make things happen themselves. Jerome Boateng did this in the first couple of minutes, then both Joel Matip and Kyriakos Papadopoulos did the same later in the first half – both the Schalke centre-backs are also comfortable in midfield, so are naturals when advancing higher up the pitch. Bayern improved as the first half went on, primarily because they started being cleverer with their movement in midfield. Schweinsteiger and Gustavo made more of an effort to alternative their position, drop back and forth to receive the ball in space – Schweinsteiger was naturally much better at this, completing 79 passes, the most in the game and 26 more than Gustavo. But the key to the game was Kroos, who was being picked up by Neustadter. Schalke’s problem was that Neustadter had to cover a large amount of space in front of the back four, and he was in that typical, tricky position in this formation – on one hand he wanted to mark his opponent out of the game, on the other he was afraid of being drawn too wide, and allowing Bayern space in front of the defence. Schalke’s 4-1-4-1 wasn’t at all compact – there was often 20 metres between the two lines of four – so if Neustadter was drawn out of position, the home side were very vulnerable in that zone. Kroos is a highly intelligent player, of course, and kept on varying his position. Sometimes he’d drop into the midfield to pick up the ball under no pressure, which encouraged movement from one of the other Bayern midfielders into a more advanced position. More dangerous was his lateral movement into the channels, away from Neustadter, overloading Schalke on the flanks. The most presentable Bayern chance of the first half came when Kroos drifted into a left-of-centre position unchecked, then crossed to the far post for Mandzukic, who headed over. After half-time Bayern stepped it up, and again increased movement resulted in more goalscoring chances. Now, they realised that Neustadter was struggling in his position, and it was common to see Thomas Muller drift into that zone, with Lahm providing the width. Still, Kroos was the catalyst for everything. Him dropping to the left pulled both Farfan and Howedes towards the ball, allowing Holger Badstuber space for a cross – this time Muller headed just wide. From Bayern’s next attack, Kroos opened the scoring – again getting the ball in space on the left, exchanging passes with Muller (who had taken up a central position, beyond Neustadter and in front of the centre-backs) before finishing smartly into the far corner. 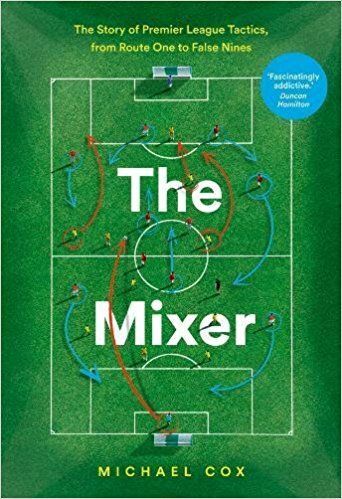 It was the perfect goal to illustrate what Bayern were doing – using Kroos to float laterally and pick up the ball in space, then use Muller as the ’second number ten’, coming inside from the right. Muller got the second goal with a clever solo effort three minutes later, and those two were deserving of the glory. There is some fine analysis of the two goals at the Rekordmeister site here. Schalke struggled to get back into the game – Huntelaar could be seen encouraging his teammates to move higher up the pitch and press, but they’d become too accustomed to sitting back in the 4-1-4-1, and were tired because of Bayern’s possession dominance and movement. Stevens brought on Barnetta and Ibrahim Afellay for Draxler and Holtby, reverting to the 4-2-3-1 with Afellay central behind Huntelaar, but Schalke were unable to win the ball. Heynckes furthered Bayern’s ball retention ability by bringing on another passer – Martinez replaced Mandzukic – and the three points were never in doubt. Schalke tried to stifle Bayern in the centre of midfield, but this was at the cost of their own attacking threat. They were too defensive and yet their shape gave Bayern space between the lines, which was only fully exploited once Muller drifted infield. Kroos was the key man – his awareness of space and timing of passes was highly impressive, and it was fitting that he broke the deadlock. Great player Kroos,his performances in last years CL especially against Madrid were fantastic for a man of his age.A complete player,technically,tactically and he has end product with his shooting,through balls and crossing too.Who seen his goal against Valencia last week?The best young midfielder in Europe for me,though I think Thiago may have more potential. Good write up ZM, I think both sides are looking strong in the German league this season. Bayern had a lot of positives in this game; the two CB’s look a great partnership (Dante has continued hid good form from last season), Lahm was great going forward, Schweinsteiger easily avoided Holtby to dominate the midfield, Kroos and Muller showed fantastic movement as you said and importantly Manzukic occupied the two Schalke CB’s well to create space. I much prefer him to Gomez in this Bayern side as he is able link up play better and is already establishing a good relationship with Muller on the right I thought. Some negatives for me were Robben’s performance – he looked on the periphery of the game and never tracked back – and Badstuber at LB as he struggled with Farfan. Schalke look like they have good potential, but need time to bond as a team. Individually, Howedes, Farfan, Holtby and Drexler are great, but they don’t have that chemistry to link up together and create havoc. This was magnified as they left Huntelaar isolated, a striker who already struggles to link play and needs good service into the penalty area to be effective. The squad depth of Schalke was impressive though, to be able to bring on Barnetta and Affelay bodes well for the rest of the season. Typical EPL fanboy,this is yet another example of a greedy and self entitled little englander . Thanks for this report, ZM. It’s nice to read somebody highlighting Kroos as an actually outstanding player, since I also do think he is really good. Curiously, in Germany the media/people do not like him very much, and one usually reads he is playing too slow or not directly and vertically enough. Everybody is praising Özil constantly, who is simply a totally different kind of no. 10. Anyways, I thought also Schweinsteiger had a huge impact on the game, controlling it, creating it from deep. I think he was more on the left of the double pivot and Gustavo on the right, unlike your diagram. Often he would drop between Dante and Badstuber, or take the left wing allowing Robben to move more centrally. Bayern look frighteningly strong this season. Let’s see if they can keep up their level. They think every good player should play their,enough have already moved their,I am sick of City and Chelsea been linked with every good player who plays in Serie A,La Liga and Bundesliga.Falcao scores against Chelsea and suddenly Chelsea want him,Isco performs in the CL and the next day their is rumors in the newspapers about PL clubs willing to wave their unearned cash in Spansh teams faces.Their financial doping makes me sick,the only reason top players would ever want to play in England is money.Just compare the amount of money the EPL spent compared to La Liga this summer,I think it was at least 5 times more.And it’s only going to get worse with this new T.V deal. Well that is probably due to the fact that he was playing a bit too slowly and not direct and vertically enough in the last two seasons since he came back from Leverkusen. Just take a look at the statistics in 2010/11 he scored just 1 goal in 27 appearances and in 2011/12 scored just 4 goals in 31 appearances. What a great article! I would love to see some of these German superstars play in the Premiership. Hopefully Podolski will be the first of a few to come over. They think every good player should play their,enough have already moved their,I am sick of City and Chelsea been linked with every good player who plays in Serie A,La Liga and Bundesliga.Falcao scores against Chelsea and suddenly Chelsea want him,Isco performs in the CL and the next day their is rumors in the newspapers about PL clubs willing to wave their unearned cash in Spanish teams faces.Their financial doping makes me sick,the only reason top players would ever want to play in England is money.Just compare the amount of money the EPL spent compared to La Liga this summer,I think it was at least 5 times more.And it’s only going to get worse with this new T.V deal. I hope FFP comes in and wipes clubs like Chelsea and City off the map..
Hey no, let the Bundesliga stars remain in the Bundesliga, so we can have a realistic shot in the Champions League or the Europa League. Is Thomas Mueller the most unpredictable player ever? His touch can be erratic, but he’s so quick-witted and improbable he can work even that into an advantage. which are both qualities he brings onto the field. It regularly amuses me when English fans speculate about which Bayern players will become targets for Chelsea, ManU or whomever. Bayern is one of the richest clubs in football and they pay the high, market salaries (unlike Dortmund for example). Bayern will not sell any of their core players regardless of who comes knocking. Uli Hoeness and Karl-Heinz Rummenigge (Bayern’s management) have said so repeatedly. Bayern will however buy a player they really target, see Martinez. Getting Kroos from Bayern is about as likely as getting Messi or Xavi from Barca, and somewhat less likely than getting Ronaldo or Casillas from Real. Barcelona made an offer for Lahm some years ago which was rejected by the club and also the player. Real wanted to buy Schweinsteiger last summer and were turned down. Liverpool wanted Gomez when he was still on the bench in 2010 and were turned down. the ideal team then, is of 11 raumdeuters. kidding aside, Bayern have passed the Schalke test already, and Schalke look like a strong team, a good team to bet on to go the Round of 16 in the UCL along with Arsenal with their depth. However, interesting to see if BVB can keep up with this Bayern. Shame to know that the BVB-Bayern game is far ahead into the schedule. Wishing that BVB are still in the UCL by then though! I am regular watcher of Bundesliga and avid fan of German football from India. 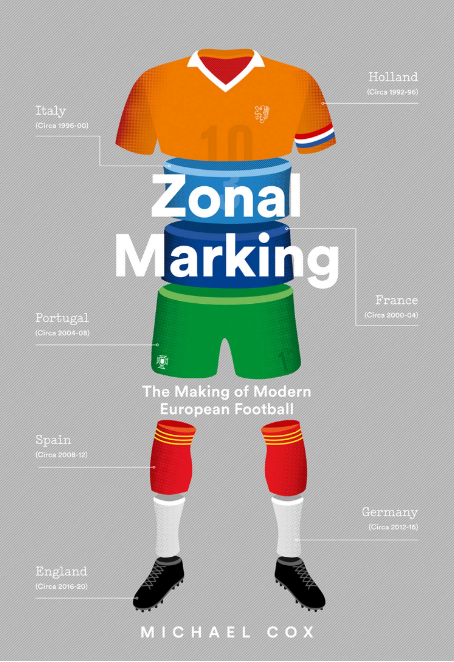 Always read the articles on zonal but would like to start adding my own views on the game. What stroke me the most was that unlike last season Bayern have the squad depth to change tactics in the middle of the game. Against team like Barcelona Javi Martinez with close ball control and reading of the game would be ideal while against the likes of Real,Chelsea who prefer quick counter attacks, Gustavo would shoe in for breaking up the play who is also fast paced to catch counter attacking wingers. Bayern did the same after getting 2 goals by bringing Martinez which they couldn’t last season to an extent to win titles. Great Article as usual ZM.. Nice to see Bayern again making a good start.. let’s hope they keep this up and put pressure on Dortmund.. Also, their squad is much better now which will augur well for the rest of the season.. With Alaba, Ribery and Gomez back, they will have the most versatile squad in Europe I think..
molto interessante il turno infra-settimanale di serie a con fiore-juve e napoli-lazio su tutte. spero che analizzerai almeno una delle due gare. If Manchester United were given the pick of central midfielders to buy, Kroos would have to be near the top of the list. Young, can play in a two or a three, versatile, energetic, creative… he’s like Cleverley, but five times the player. You underestimate Kroos, he has been playing 3 seasons Bundesliga already on a top level (1 season Leverkusen, 2 Bayern). He played one World Cup and one Euro (though as a substitute). He has got plenty of CL experience and is the same age as Cleverley who has still to establish in the premiership. By the way, Bayern will not let him go. Tell me why Kroos would want to join a worse team? Man Uniteds midfield is hillirous,SAF must be a retard’ for not buying a quality DM/CM yet AGAIN. Carrick is the only good one and he is not exactly great. Very disappointed in the lack of a “Kroos control” pun in the headline. I applaud a British sports journalist with the good taste to pass up a pun. Anyway Bayern really pass well don’t they. E-filing is a quicker and efficient way to file FBAR.Look for the small wireless mice designed specifically for laptops.In the UK, there’s been a definitive and frantic up and down pace mixed with a struggling economy and activate office 2010 a new government at the helm.2095 goes a long way towards addressing the unsafe conditions on the nation’s railroads.We pride ourselves on experience, knowledge, and being extremely accessible to our clients no matter how large or small the concern.HR experts and trainers have been arguing for this strategy ever since ‘the war for talent’ dominated the labor market in the late 1990s. Papadopoulos is an outstanding player. Thanks for your post. I also believe laptop computers are getting to be more and more popular currently, and now are usually the only sort of computer utilised in a household. This is because at the same time that they are becoming more and more cost-effective, their processing power is growing to the point where these are as potent as desktop computers out of just a few years back.